Harlem's Little Senegal is one of the most vibrant African neighborhoods in New York. 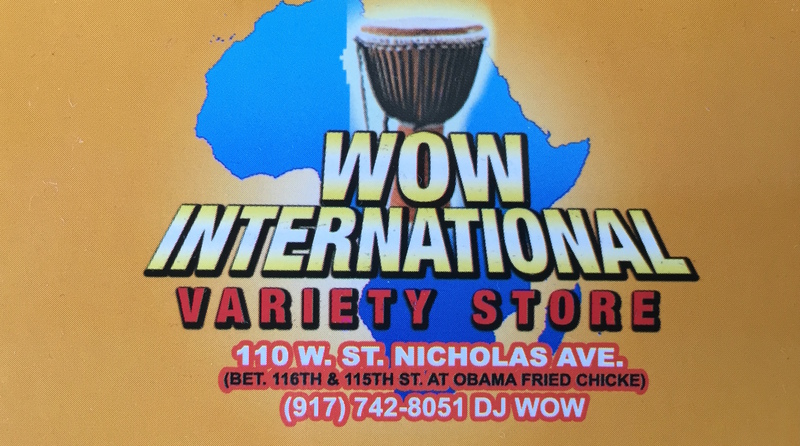 Several stores in the area sell CDs, but perhaps the most impressive is the Wow International Variety Store. Along with DVDs, fashion and beauty products, the store's walls are lined with CDs from all over Africa and the Caribbean. DJ Wow, the store's owner, has put together many of the store's compilations himself. 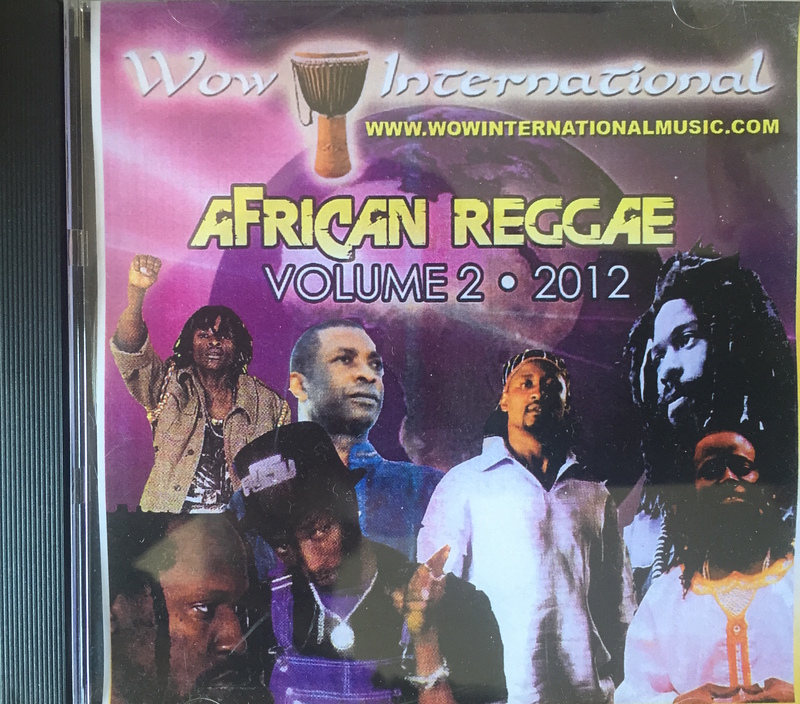 He generously presented Afropop producer Jesse Brent with his eight-volume African Soca mix to play on the radio. You can hear some of it in our new show, "Sounds Like Brooklyn." Wow International is open seven days a week on 110 W. St. Nicholas Ave. in Harlem, so stop by some day for good vibes and great music. Jesse Brent: Could you start off by introducing yourself? DJ Wow: My name is DJ Wow from Wow International Productions, based in New York City for so long. I am originally from West Africa, Gambia, smiling coast of Africa. When did you open up the shop? It would be 2010 I opened the shop right here. I used to work for a restaurant called Sylvia’s soul food place on 126th St., still deejaying. I’ve been working at it for 25 years. Did you start deejaying when you came over to the U.S. or had you been deejaying in Gambia? Professionally, I started deejaying in America, in New York City. But locally, I used to be deejaying in Gambia since ‘84. I used to do a little bit of deejaying in the surrounding area of my hometown, for my own crew of people. That’s it. But when I came here, I pursued it to be professional, international. And you deejay in nightclubs, or what kind of places? Normally, I don’t deejay for nightclubs. Once in a while, when a nightclub DJ calls out sick, they call me, and I go deejay for them. But it’s not much. I normally deejay for weddings, graduations, private parties, christenings. And you use music from all over Africa when you deejay? 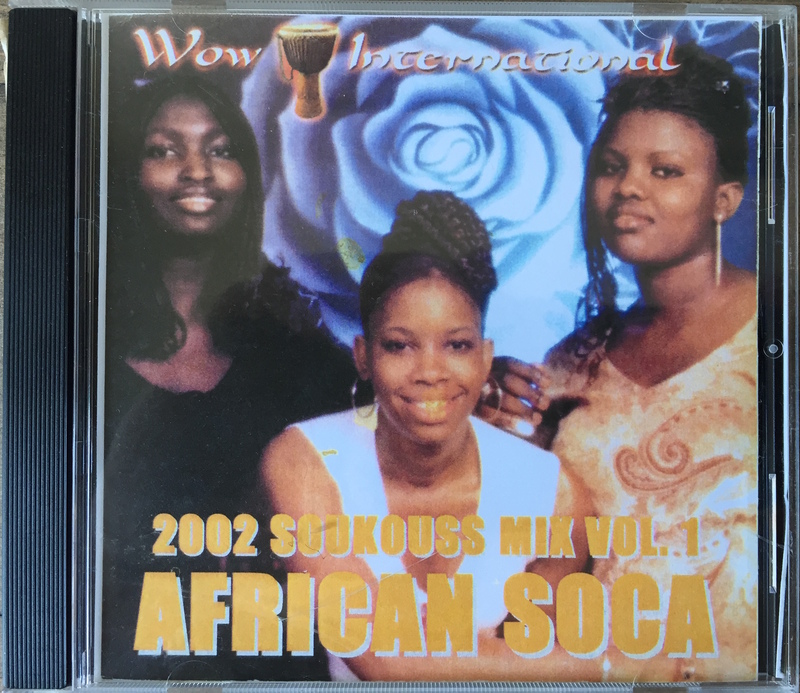 Yeah, that’s why we call it international, because we deejay with all kinds of music, from hip-hop, r&b, reggae, different kinds of African music, soca, calypso. We deejay for everything. Can you tell me a bit about some of the music you have in the store? How do you find out about the music that you bring into the store? Normally, we bring in a DJ pool--some of the music is sent into the DJ pool. Some of the artists will send music or send their singles. Some of it we order from Africa. Some of it we order from England. Some of it we order from France. So it’s music that we have to get all over. Sometimes, I travel from here to Queens to go get some music. Sometimes to downtown. Sometimes, they call. They beep me to say we’ve got a new release out. Can you go and pick it up? So we go there and just pick it up. Oh, VP Records. We were over there the other day. It’s a great place. Yeah, it’s a great place for reggae. Definitely, if you want some reggae, you’ve got to go over to VP. It’s the main place for reggae. In terms of what you have in at the moment, can you tell me about any specific releases that are favorites of yours? Music--I love music. I don’t have no favorite. Every good artist is my favorite music. So I have a couple of artists--older ones, like Bob Marley, Peter Tosh, Youssou N’Dour, Salif Keita, but it’s hard to say exactly who is your favorite. Because you can’t just choose one. Then you’ll be a hypocrite. So normally, you just have to continue based on any good music--it’s your music. Is there a lot of good music coming from Gambia right now? I don’t really know much about it. Yeah, I have a couple of artists from Gambia--three or four. There isn’t much good promotion from Gambia to over here, because they’re always based in Europe. It’s hard to come to America. It’s hard to enter. So it’s difficult for them to come out here. Normally, they go to Europe. 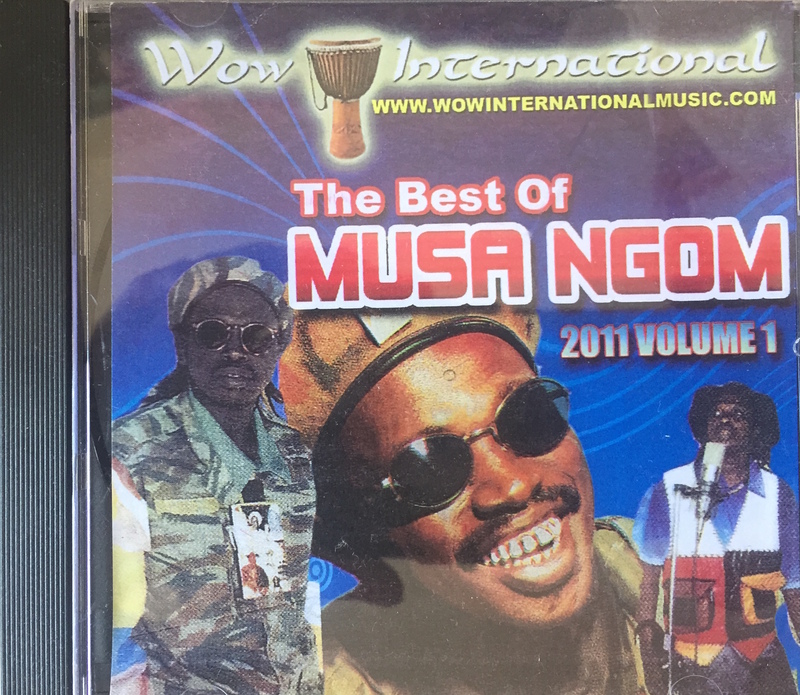 Some of my DJ partners in Gambia send me Gambian music, or I send my son to go get me some of them. I left there nearly 20, 25 years ago, so it’s hard for me to communicate with them, because when I was living there, some of them were young, some of them weren’t born. So for them to just say, “Let me send this to DJ Wow” is going to be very tough. That’s why I send my son to go, approach some of the artists, and tell them, “My father is a DJ. He asked me to tell you to give me CDs.” That’s how I get some of their CDs. Do you have a lot of regular customers here? Yeah, I have a lot of regular customers. Some are Jamaicans; some are Africans. Some of them come out of state, because the business is too dull, it is too slow out here, and we have a lot of people doing the same thing, so the competition is tough. But here and there, I get a couple of Africans who hear about me. Just like the way you heard about me, a lot of people hear about me, like, "Go to DJ Wow. He has good music." How many different African CD stores would you say there are out here? About four or five. It used to be nearly eight. But most of them shut down, so now there are four or five that sell African music. But that sell African products, food and stuff--it’s a lot. It’s uncountable. Has the Internet affected your ability to sell CDs a lot? Yes, the new ones. The Internet’s captured the new ones. The older ones, it’s hard to get on the Internet. You might Google from here to tomorrow--you’ll never get them. So you’ve got to contact DJ Wow. If you want the old school, contact DJ Wow. If you want the new school, you can still contact me, because sometimes, the way you get on the Internet, the music’s not that powerful, that strong, coming out of the Internet, most of the time. So, you’re better off getting the actual CD itself, getting the good quality music, because if you download onto the Internet, sometimes the way you get it, with your speakers, it’s not 100 percent. So when you get the actual CD itself, you’ll get the actual music you want. Are you friends with a lot of African musicians in New York? Yes. Definitely. I’m friends with a lot of African musicians here. Some of them, when they come, they come to my store. Even yesterday, one was here, called Fatou Loubé from Senegal. Some of them come out, visit the store, feel happy. I talk to them, do what we have to do, say what we have to say. I hug them up. Good to go.